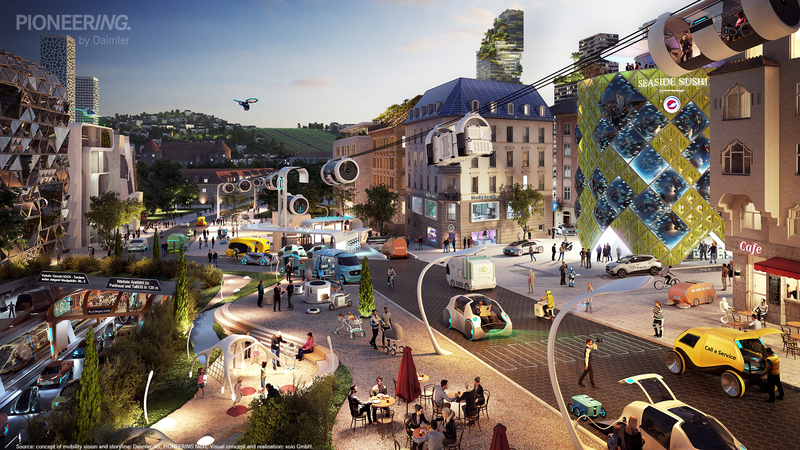 The project “Vision Stuttgart 2036“ is an outlook into future mobility, which was developed by an interdisciplinary team of the PIONEERING NeXt department in Group Research of at Daimler AG. xoio realised this illustration for the Daimler AG in 2016. 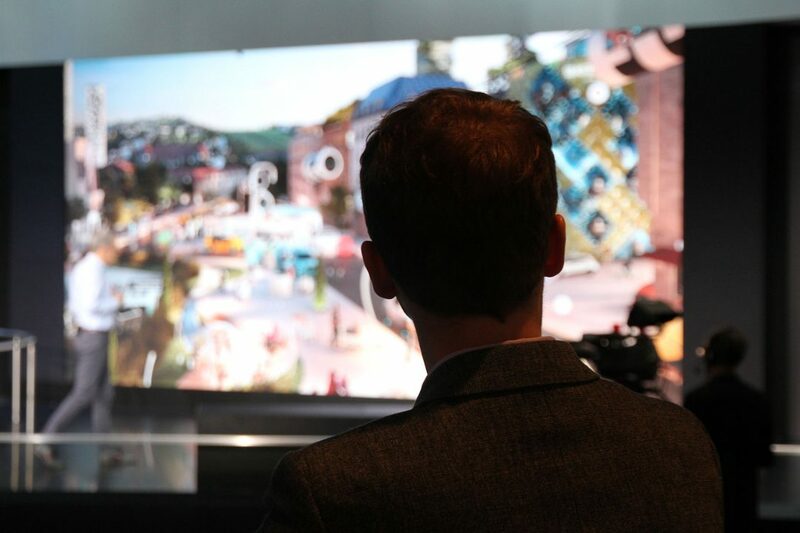 In the following year the vision has been further developed into an interactive virtual reality application, allowing the spectator to visit a smart city of tomorrow in detailed 360° panoramas and animations. The virtual reality tour was first unveiled to the public at the International German Motor Show (IAA) 2017 in Frankfurt within the Future Talks series. We thank our client Daimler AG and all participants for the great collaboration on this exciting project.